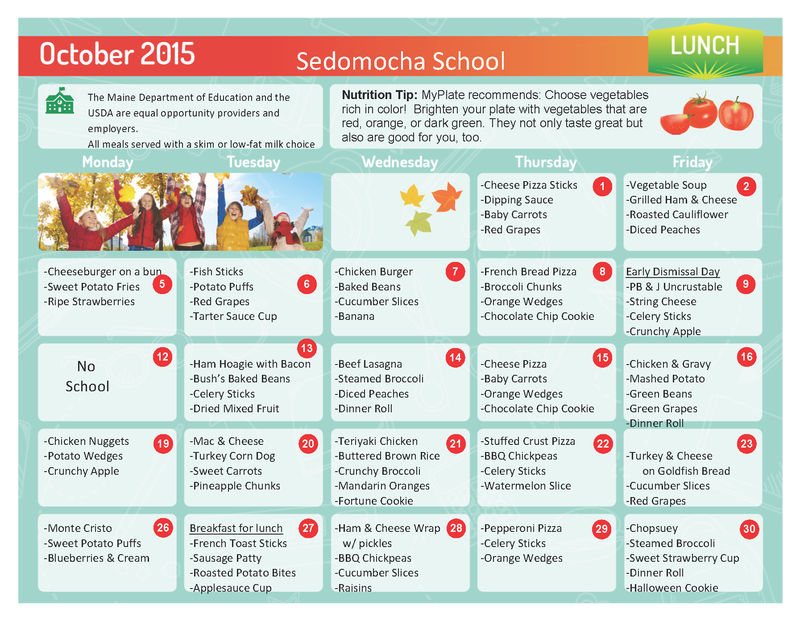 SeDoMoCha is excited to offer this new service to parents. Using WAV (Web Account Viewer), this online payment service provides a quick and easy way to add money to your student's meal account using a credit/debit card or electronic check. Access to the viewer requires a username and password which is provided to parents by the Food Service Department. For questions about this lunch account viewer, please contact the Food Service Director. Snack milk is an optional item that is offered to students in grades K-4 during snack time. The cost is 35 cents per milk regardless of your lunch status. PreK only snack milk is 5 cents. 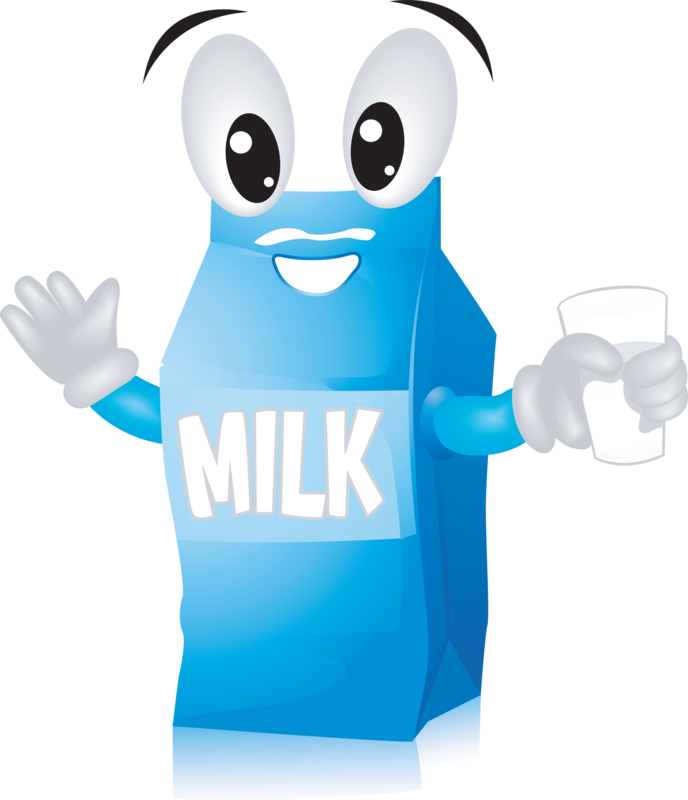 If you do not want your child to purchase snack milk, please notify the Food Service Director or your child's teacher. The Food Service Department operates on a cash or check-only basis. No Credit. Checks may be made out to RSU 68 Food Services. If your child's lunch account falls behind, emails or paper notices are sent out twice a week to inform parents. Any students owing more than $3.00 will not be able to purchase cold lunch milks or snack milks. If you prefer your child not participate in the snack milk offering, please notify the Food Service Director or your child's teacher and a block will placed on your child's meal account stopping any additional charges. If a student owes more than $10.00, a different notice will be sent out and alternate lunches will be given until the balance is paid. 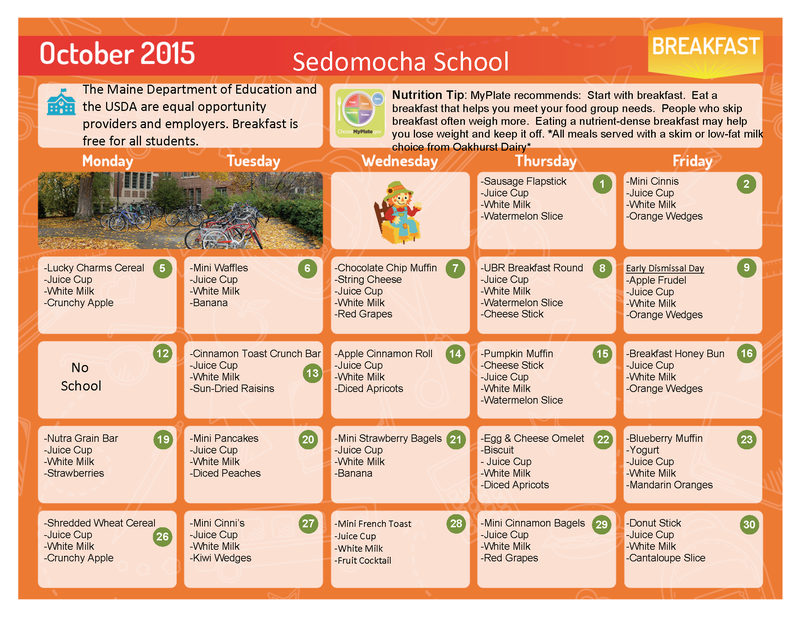 Please feel free to email the Food Service Manager or call (207) 564-6535 ext. 1118 to check on your child's account balance or if you have any questions. During the first week of school, lunch applications will be sent home with your child. So that lunch status may be determined more quickly, please return the completed applications to your child's school as soon as possible. Lunch applications must be completed each school year. If you have already received a letter stating your lunch status for this school year, you do not need to fill out an application. If, during the school year, you feel that you may qualify for free or reduced meals, applications are available at your school office. Please contact the Food Service Director if you have any questions. The RSU 68 Food Services Department operates using a barcode/pin number. Each student is given a personal identification number and corresponding meal account. If your child is a student at SeDoMoCha Middle School, please encourage them to memorize their ID number for depositing money into their account as well as making food purchases. Money deposits are accepted each morning. Checks should be made payable to: RSU 68 Food Services. Please put your children's names on the memo of your check to ensure proper deposits. Yes, you can write one check and it will be split between your children's accounts as long as you write their names in the memo. If you are interested in receiving a printout which shows your child's lunch purchase history, please contact the Food Service Director. When lunch service is missed as a result of no school - the menu for the missed day will be the menu on the returning day. The posted menu for the day of return will be scratched. Breakfast will be served on one hour delayed start mornings, but not on two hour delays. As the school year comes to a close, we will be calculating the balances on students' lunch cards. If your child owes money on their lunch card, please pay the amount owed as soon as possible. If your child has CREDIT on the lunch card, we will carry over the amount to the next school year. For SeDoMoCha Elementary School students who will be attending SeDoMoCha Middle School in the fall, the credit will be transferred to the middle school. If you do not want to have your child's credit carried over to the next year or if your child will not be attending school in our district, please send a note to school and the money will be sent home on the last day of school with your child. Ala carte snacks are sold to students in grades 5-8 as long as they do not owe over $1.00. If you do not wish to allow your child to purchase snacks, you may call or email the Food Service Director to have your child blocked from making these purchases. If you wish to file a Civil Rights program complaint of discrimination, complete the USDA Program Discrimination Complaint Form online or at any USDA office, or call (866) 632-9992 to request the form. You may also write a letter containing all of the information requested in the form. Send your completed complaint form or letter to us by mail at U.S. Department of Agriculture, Director, Office of Adjudication,1400 Independence Avenue, S.W., Washington, D.C. 20250-9410, by fax (202) 690-7442 or email at program.intake@usda.gov. To file a complaint of discrimination, write Maine Department of Education, Civil Rights Officer, 23 State House Station, Augusta, ME. 04333 or call 207-624-6875. Maine is an equal opportunity provider and employer.